RIVERDALE, NJ / ACCESSWIRE / March 7, 2017 / The level of outdoor pollution is not only vital to good health for people who spend significant times outside, but it also affects the level of air quality inside commercial establishments. 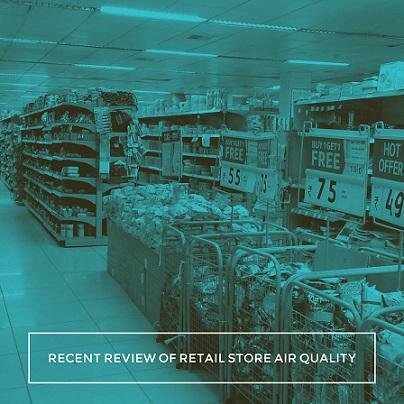 Studies have found that retail store air quality will often be worse when outdoor air pollution is at a high level, and that can affect store employees and patrons. "What we are finding through multiple studies is that retail store air quality can compromise worker productivity in the form of missed work days through illness," stated Kevin Wood,Vice President Sales and Marketing. "And if retail spaces lack effective commercial air filtration devices, then airborne particulates will continue to worsen within that store, and you will start to see a corresponding increase in breathing illnesses related to poor indoor air quality." It's also important for retail store owners to remember that the number of occupants within their space will also affect the air change rate. The more people that frequent a retail store, the greater the air change rate has to be to account for the fact that there are more people consuming oxygen and more people bringing in pollutants from the outside. For more than 50 years we have been at the forefront of clean air solutions for commercial facilities, and our products remain the most affordable and energy efficient on the market. We look forward to helping retail business with indoor air quality filtration products.